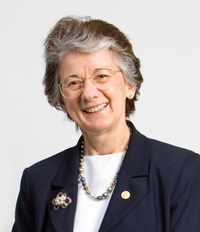 Dr. Rita Colwell of the University of Maryland and the Johns Hopkins School of Public Health will talk about the connection between environmental change (such as heat waves and hydrologic extremes) and disease risk, with a focus on infectious diseases, including both vector-borne (e.g., malaria, plague, and many viral diseases) and water-borne diseases (e.g., cholera). She will also discuss other effects such as mental health problems and civil disruption. 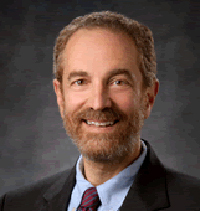 Dr. Howard Frumkin of the CDC will look at the framework for public health response to environmental threats that was developed at the CDC. Now being implemented at the federal, state, and local levels, the response involves such longstanding core public health activities as disease surveillance, outbreak investigations, vulnerability assessments, health communication, and preparedness planning. Additionally, he will highlight the importance of assessing the health consequences of mitigation strategies so that decision-makers can choose the most health-protective approaches. 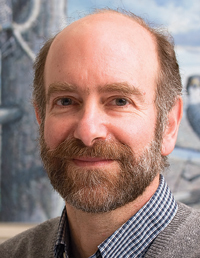 Dr. Jonathan Patz of the University of Wisconsin will explain the innovative strategy known as co-benefits, which promotes improved health while also mitigating climate change. For example, certain transportation strategies both limit travel demands and encourage walking and/or bicycling, thereby promoting positive health effects (such as reduced risk of cardiovascular disease, cancer, and asthma) as well as a cleaner environment. Dr. Patz will discuss recent U.S. studies suggesting that climate change mitigation could offer a substantial opportunity to improve public health and save billions of dollars in healthcare costs and worker productivity. The hour-and-a-half long briefing is given twice on Capitol Hill: at 11 a.m. in Room 210 of the Cannon House Office Building and at 2 p.m in Room 406 of the Dirksen Senate Office Building.